The singer Jamelia has filed for divorce from footballer Darren Byfield after 18 months of marriage. The 28-year-old moved out of the couple’s home last week and has instructed her lawyers. 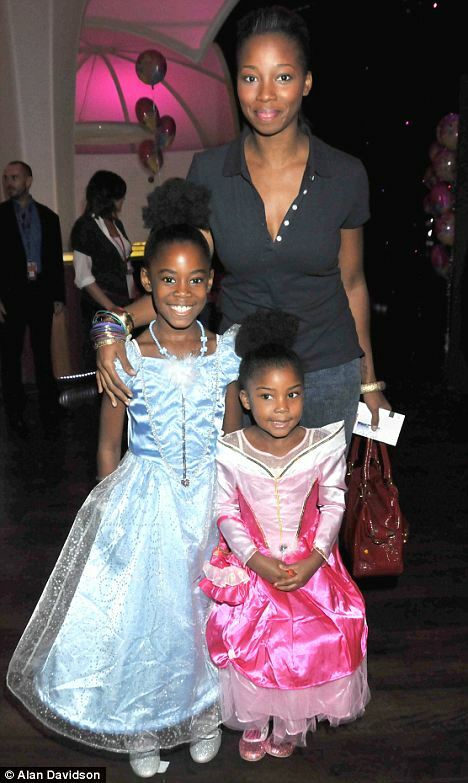 The couple have a daughter together, four-year-old Tiani, and Jamelia also has an eight-year-old daughter Teja. The couple have had a tempestuous relationship. Walsall player Darren was accused of cheating on Jamelia during their engagement, and they split. They then reunited for the sake of their children. The couple wed in a lavish ceremony in East Sussex in June last year. They released a statement saying that no-one else was involved in their decision to end their marriage. ‘It is with regret that Jamelia and Darren Byfield today confirm they are splitting up and getting a divorce,’ it said. A friend told the Sun: ‘Their relationship has been through lots of ups and downs. Jamelia took him back after he was accused of straying, but the last year has been tough.